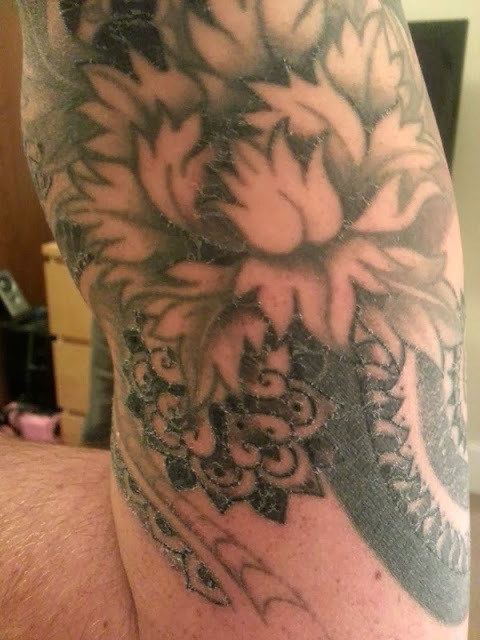 Two weeks ago my boyfriend went to Amanda Ruby in Folkestone to get his half sleeve finished. 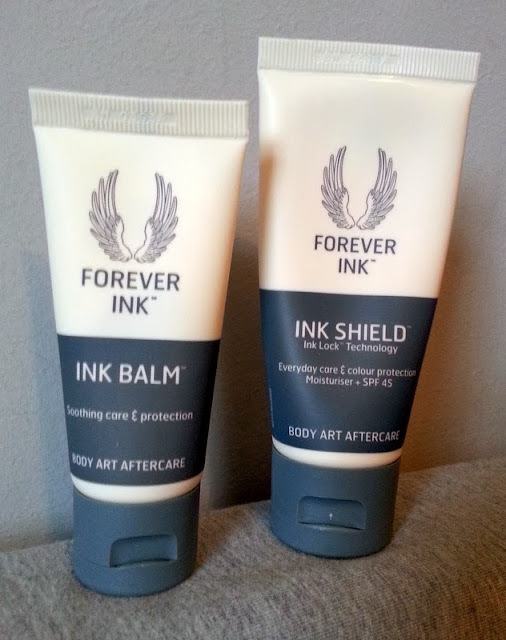 We went out and bought nappy rash cream as recommended, but then Forever Ink contacted me about their new tattoo aftercare system (perfect timing). Forever Ink Balm is a new aftercare cream, specially designed to help the tattoo heal from the moment you get out the studio until it is all healed up. It contains antibacterial manuka honey and vitamins B and E to help soothe and heal tattooed skin, and as it's specifically for tattoos (unlike nappy rash cream) it does the job! The balm goes on smoothly and evenly, and turns clear and matte (so no white, sticky arm like with nappy rash cream). You put it on in smooth downwards strokes but don't rub as this could irritate the sensitive skin. You may need someone to help with this, but helper be warned - you'll get gross, black scabby bits on your hands from applying it! Nobody warned me of this! 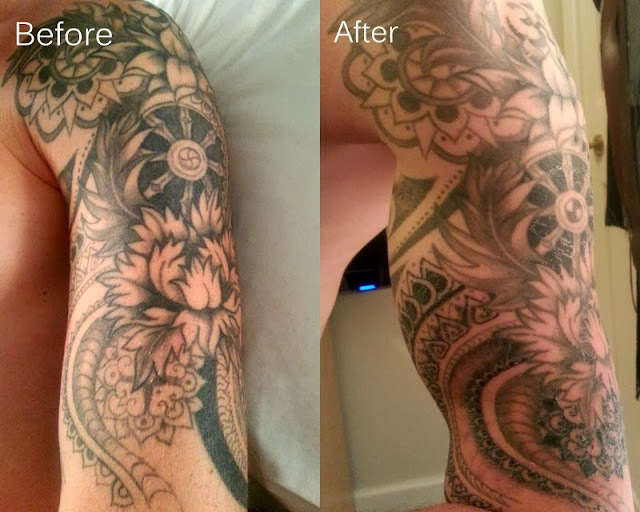 It's also oil-free so once you can get the clingfilm off your tattoo, it won't stain and ruin your clothes in the recovery stage. I was sent these products for review purposes.